As with almost everything in life, there is always a line between business and hobby, sometimes obvious and sometimes blurred. 3D printing definitely sits on the blurred end of the scale for me, because no matter who you are, what you are doing or your reason for doing it, endless possibilities make it difficult to not have a little fun. Having a tool in front of you capable of almost anything your imagination can create must be the same feeling a graphic designer or photographer gets when stepping back from client work to focus on their own art. Not only is 3D printing making a huge impact on the world of industrial production (a recent Economist piece went as far as predicting it the 3rd industrial revolution), but it is gathering momentum for hobbyists and would-be inventors alike. Shapeways is one of the 3D printing communities I’ve had a close eye on over the last year. Although not the only community of 3D creators and designers uploading their blueprints and patents for production to be printed and purchased by others, the quality and innovative thought gone into many of the items on Shapeways has given it a certain status that amateur and new 3D designers can set as the bar to aim for. Whether it be art or practicality, The items on Shapeways never fail to impress. here are three of my favorite items available to buy on Shapeways and why I rate them highly. Sometimes all it takes is a simple problem to spark an idea for a great invention, and I get the feeling the Pod à Porter was one of these. The great thing about 3D printing is all it takes is some correct calculations (in this case the size of a 4th generation iPod Shuffle) incorporated into a blueprint and your idea can be ready to make then and there for a lesser cost than outsourcing a manufacturer to build it for you. What’S more, it also makes the development process quicker to make tweaks and changes to a design. 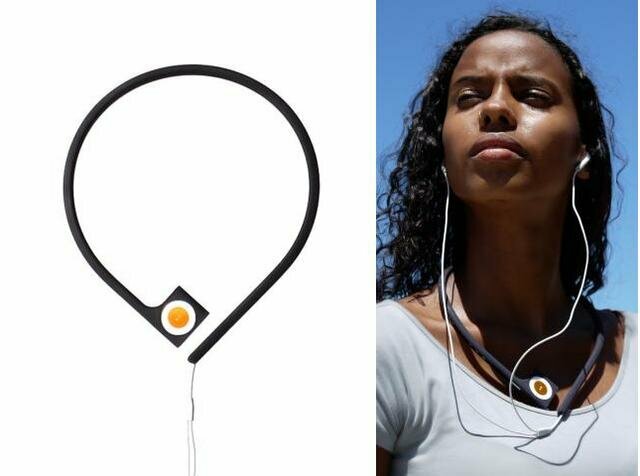 The Pod à Porter takes inspiration from your typical earphone design to create a compact item that keeps your headphone wires manageable and out of the way, along with easy iPod storage and access! 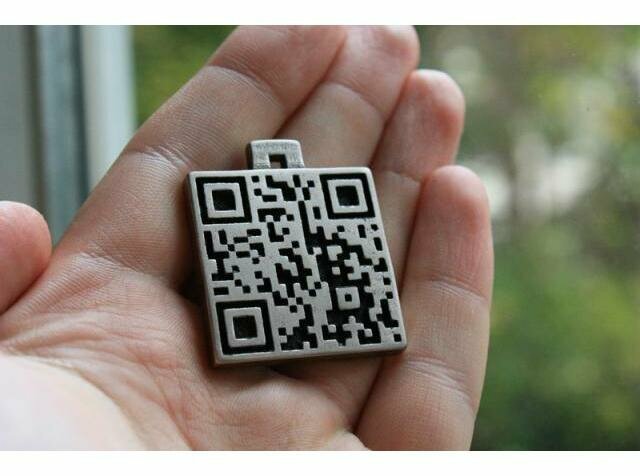 There are several jewelry stores offering these up with printed pictures of your custom QR tag online, but this 3D printed version is engraved and a much quicker process. Why is this handy? I can see it being developed into a service like tagging your possessions with a UV security pen to help return stolen items. Having the QR tag printed into a material or object would also make it harder for thieves to damage or remove the mark. Although an item like this would struggle to make any impact somewhere like the UK where the smoking ban is in place, this is a great idea for anywhere that it isn’t! Novelty to a full time smoker who would already have cigarettes on them maybe, but I feel that reason is also a strong bulk to its appeal. 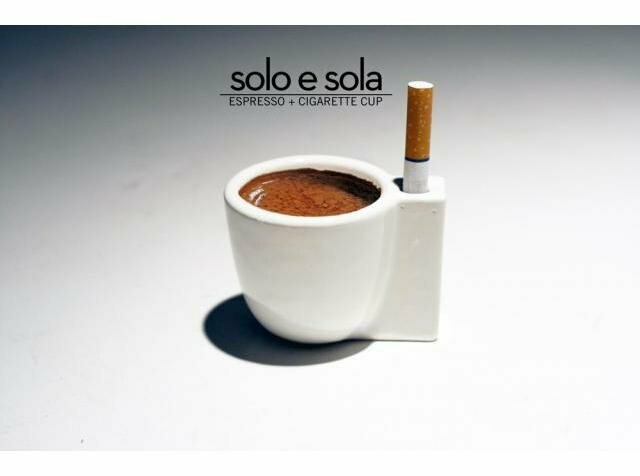 For any tourist smokers visiting from non-smoking countries the Solo E Sola could become one of those little tourist must dos like drinking a Guinness in Ireland. As with every “favorite” or “best of” piece, this is only the opinion of one person and not intended as a be-all-and-end-all decided list. If you think I’ve missed anything out from the Shapeways gallery worth talking about let me know in the comments below! Pete Reynolds works for industrial 3D printer supplier Emco in the UK. Follow him on Twitter at @3DprintPete.